When you think of all the great names in car manufacturing, INFINITI probably comes up. This automaker puts together some high-performing, reliable vehicles. Still, this doesn’t mean you’ll never be on the wrong end of an accident, a breakdown, a flat tire, or another issue that strands you on the road. You should keep some basic supplies in your INFINITI coupe as you drive in and around Laplace, LA. These supplies can give you peace of mind or will help get you back home when you’re in trouble. For serious collisions and accidents in Laplace, LA, you may have injuries that require professional attention. For the more minor issues, a first-aid kit may suffice. These simple items could relieve some discomfort and pain as you wait for help to arrive or as you wait to get your car up and running once more. Keep bandages and gauze pads of all sizes in your kit. Also include antiseptic wipes, ointment, latex gloves, and tweezers. In the worst of cases, you may wait for hours or longer for someone to come to your rescue. You don’t want to be without water, especially during the hot summer months when it’s easy to get dehydrated. Put a case of bottled water in the trunk of your INFINITI coupe and remember to replace bottles as you drink them. If this seems like too much to you, consider what you would do if you broke down on the side of the road in Laplace, LA, at night. Do you really want to work on your car and risk other cars hitting you? Flares will alert other people to your position and will signal that you need help. Dead batteries are common culprits of breakdowns, but the solution to getting your car back on the road is usually easy. A pair of jumper cables will normally do the trick – at least to starting your INFINITI coupe and have it running long enough to get to the auto parts store or mechanic’s shop. It doesn’t sound fun, but if you break down away from home in Laplace, LA, and decide to look for help on foot, you’ll need a flashlight to show the way as the sun goes down. Keep an extra pair of batteries on hand too. 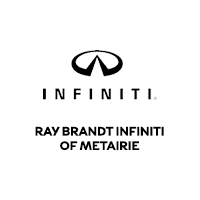 The team at Ray Brandt INFINITI can give you ideas of what emergency supplies to put in your INFINITI coupe as you drive in Laplace, LA. Go there today and consult a staff member.